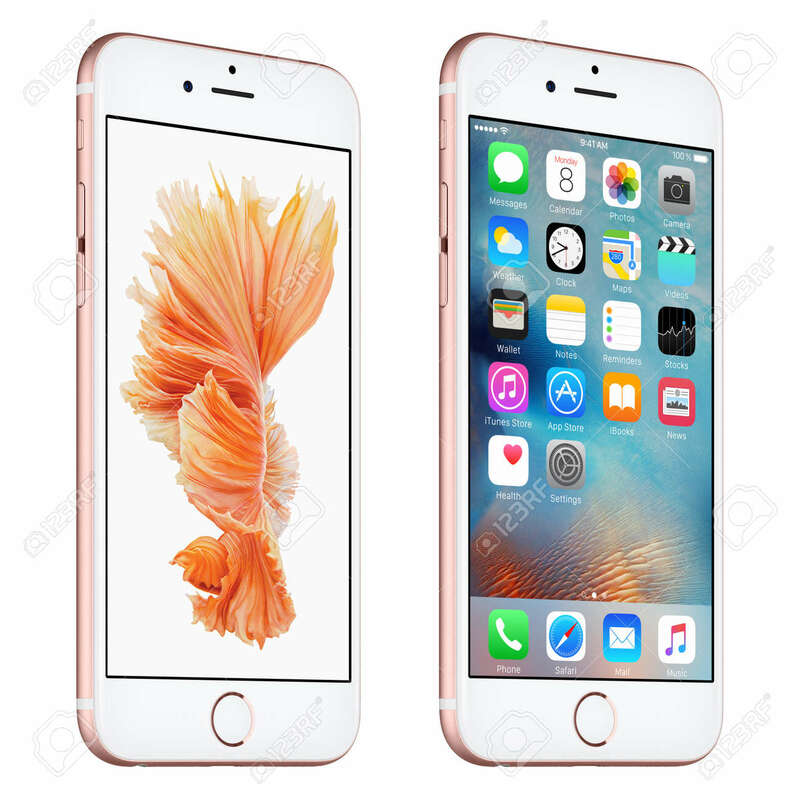 Varna, Bulgaria - October 24, 2015: Rose Gold Apple IPhone 6S.. Stock Photo, Picture And Royalty Free Image. Image 53943776. Stock Photo - Varna, Bulgaria - October 24, 2015: Rose Gold Apple iPhone 6S rotated at a slight angle bottom up view with iOS 9 mobile operating system and Siamese Fighting Fish Dynamic Wallpaper on the screen. Isolated on white. Varna, Bulgaria - October 24, 2015: Rose Gold Apple iPhone 6S rotated at a slight angle bottom up view with iOS 9 mobile operating system and Siamese Fighting Fish Dynamic Wallpaper on the screen. Isolated on white.